Sunrooms allow the homeowner to add an addition to their home that lets them enjoy beautiful views while being in a climate controlled environment. The sunroom allows the homeowner to let in fresh air or keep out extreme temperatures while enjoying the serenity of a bug free zone. Whether you wish to entertain or spend time relaxing a sunroom will keep you comfortable. Decks allow the homeowner to add an outdoor addition to their home that lets them enjoy their landscape while providing the perfect place for entertaining. 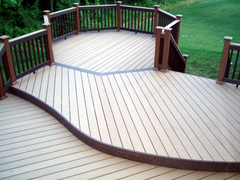 Whether you are enjoying your deck by grilling out or relaxing in the fresh air your deck will be one of the most useful additions to your home. 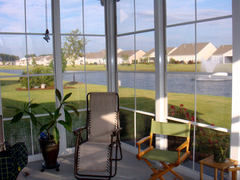 Patio enclosures allow the homeowner to add value and comfort to an outdoor area of their home. 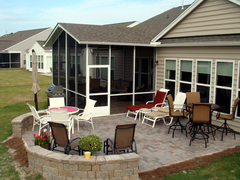 Patio enclosures allows them enjoy their landscape while providing the perfect place for entertaining or relaxing. 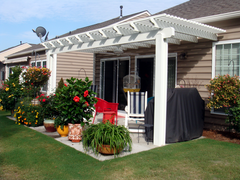 Whether you want a little shade or a little sunshine a patio enclosure can add a little comfort to your outdoor areas. What are the top 4 room additions that add value to your home and increase your quality of life? Palmetto Enclosure is the premier contractor in South Carolina specializing in sunrooms, screen porches, decks, and patio enclosures. When it comes to outdoor comfort we have you covered. Give us a call or use our contact form to get a free estimate.  We proudly serve the enclosure needs of Columbia, Chapin, Blythewood, Irmo, and Lexington, South Carolina. We are proud to build the finest outdoor spaces including sunrooms, screened porches, patio enclosures, and decks in South Carolina. Our goal is to create a place where you are comfortable with a great view and are proud of.